The ability to process incredible amounts of raw data is transforming professional sports at every level, says SAP's Brett Parker. Although still in its early stages, a new era in sports has arrived, driven by big data and analytics. 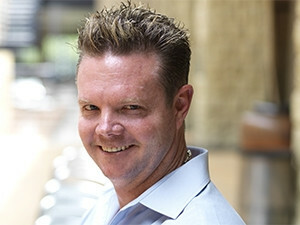 This is according to Brett Parker, MD at SAP Africa, who notes, over the last century, advances in technology have revolutionised sports and as a result, the sports industry has become a $100 billion global industry. Today, the ability to process incredible amounts of raw data is transforming professional sports at every level - from the owner's box, to the playing field, to the fans at home, says Parker, adding big data is also able to predict winners in sports using predictive analytics. Local data scientists at Principa predicted correctly a four-point win in favour of the Springboks during the World Cup quarter final match between South Africa's Springboks and Wales last month. They also predicted Springbok defeat by the All Blacks of New Zealand. While the technology can seem complex, analytics is changing sports in three simple ways - by making it more competitive for players, more fun and attractive for fans and more profitable for clubs and organisations, he adds. Parker points out sports leagues and teams are able to analyse massive amounts of data and turn it into smart data, enabling players to train better, outsmart their competitors and avoid injury. This allows coaches to holistically manage and engage their teams more efficiently, he says. The future of sport is being shaped by the same trends that are converging and driving massive business transformation across all industries - mobile, cloud, social and big data, says SAP chairman Pfungwa Serima. "The future of sport can be seen in the same context as the future of all business in Africa. It's about effectively using data-gathering and mobile technology, coupled with powerful tools for analysing data to predict the future,"
Julian Diaz, head of marketing at Principa, says by analysing player data, recruiters or sports managers and coaches are using predictive analytics to determine the future performance of a player and determine that player's future value and therefore the price they are willing to pay for a player. They're using predictive analytics to determine which players to recruit or replace - they may have reached the peak of their careers, explains Diaz. With player salaries in some sports being so high nowadays, recruitment is seen as an investment, so predictive analytics are being used to minimise risk and increase return on investment, he adds. Analytics are also being used on the business side to predict ticket sales, determine pricing for matches, manage fan relationships and improve the return on investment of their fan marketing campaigns, says Diaz. Craig Stephens, principal solution manager at SAS, says the only way to achieve competitive advantage from data is through innovation in application and execution, and through buy-in from leadership and players. Analytics will never replace human intuition in sports, rather it will help coaches to become better at their jobs so they can help players improve, says Stephens.